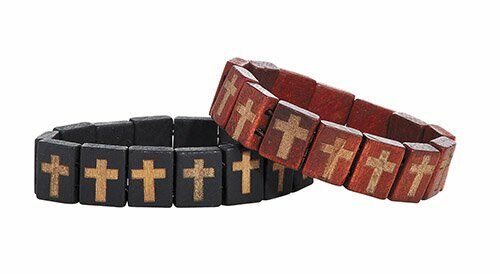 These cross bracelets are perfectly priced for gifts and give-aways during retreats and youth events. Every assortment includes both black and brown panel color options. Strung on stretch cord, they are designed to be able to be worn by just about anyone.